Like new bagger. Low miles, always garaged, never been in rain. 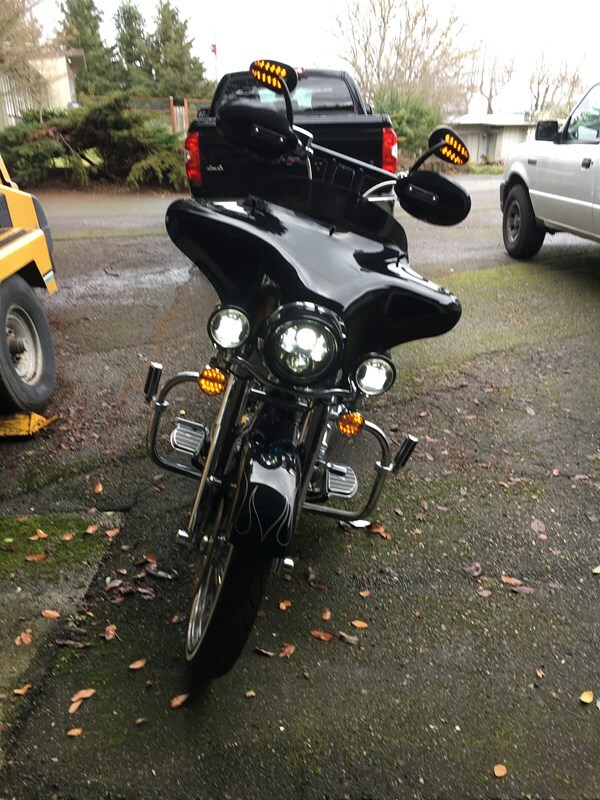 18in west coast T Bars, blue tooth (4) speakers, Memphis shades removable fairing, over sized Vance and Hines exhaust, LED headlight and fog lights, ghost flames and lots of chrome.